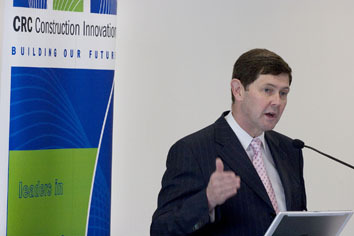 The Minister for Workplace Relations, Kevin Andrews, launched the CRC for Construction Innovations new workplace safety framework aimed at improving safety on Australian construction sites in Melbourne on 22 September. The framework, the key recommendation of the A Construction Safety Competency Framework report, is the result of industry research over two years. 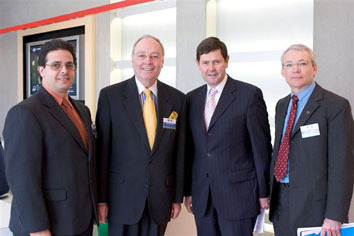 It is unique in terms of the scope of partnership and collaborative working between industry, Government, researchers and unions. 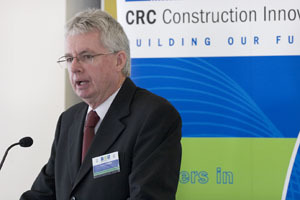 Mr Andrews commended the CRC for Construction Innovation for its leadership in addressing the significant cultural issues impacting workplace safety in the construction industry. A standardised safety framework makes it possible for the industry as a whole to proactively improve the behaviours and attitudes of the site managers who influence safety on construction sites the most, Mr Andrews said. Project partners include John Holland, Bovis Lend Lease, Office of the Federal Safety Commissioner, University of Western Sydney and QUT. Also speaking at the launch were Construction Innovations Chair John McCarthy and CEO Keith Hampson, Federal Safety Commissioner Tom Fisher, Australian Safety & Compensation Council Chair Bill Scales and Louise Quinn from Learning Dimensions. The safety framework aims to bring about a long-term cultural and behavioural change in the building and construction industry to improve occupational health and safety (OH&S) practices. Project Leader, John Holland Group Safety Manager, Dean Cipolla, said the transient nature of the construction industry had contributed to the high number of deaths and injuries across the industry. It is estimated that one person dies each week on Australian construction sites and there are thousands of serious injuries reported by the industry each year. Labour mobility makes it difficult for any one company to consistently influence safety attitudes and behaviours because workers and sub-contractors hear different safety messages when they move to different companies, projects and sites. In addition, the sector traditionally has not viewed behaviours such as communication and leadership as a necessary part of safety competency, Mr Cipolla said. The framework, designed for use by safety managers, senior managers and executives, provides a guide on how to create a positive safety culture by ensuring key staff such as project managers, supervisors, OH&S advisors and engineers are aware of and can effectively execute tasks needed to manage OH&S. 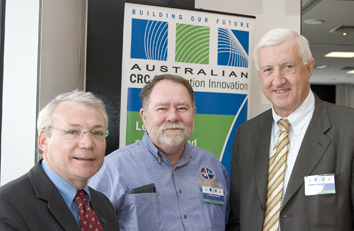 CRC Construction Innovation Chairman, John McCarthy said the safety framework was one of a series of world-class industry development programs run by Construction Innovation bringing together unions, Government, researchers and the private sector together to make construction sites safer for workers.